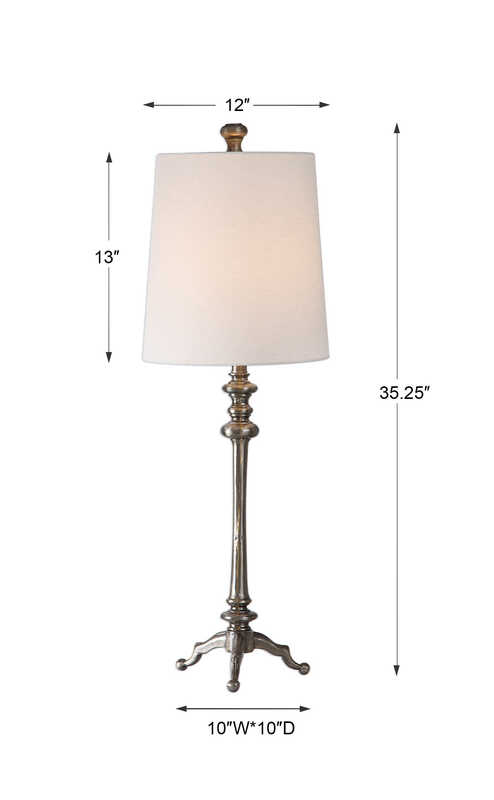 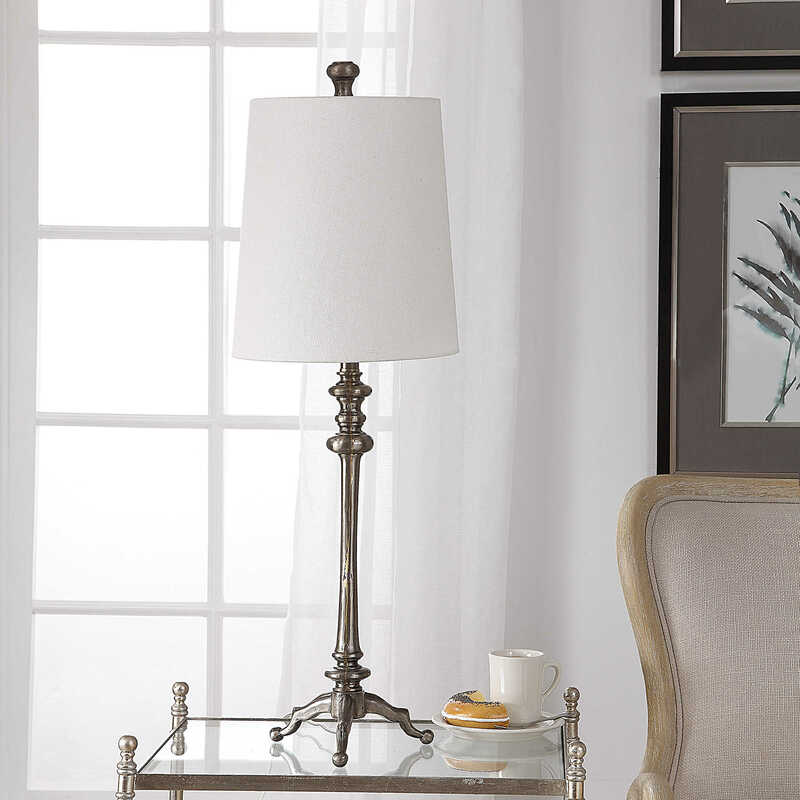 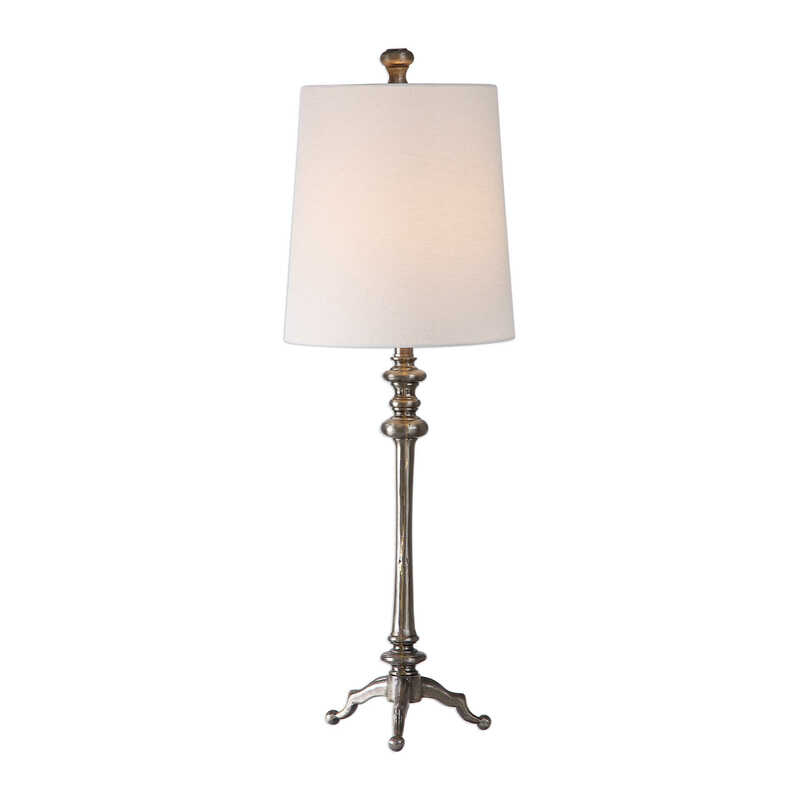 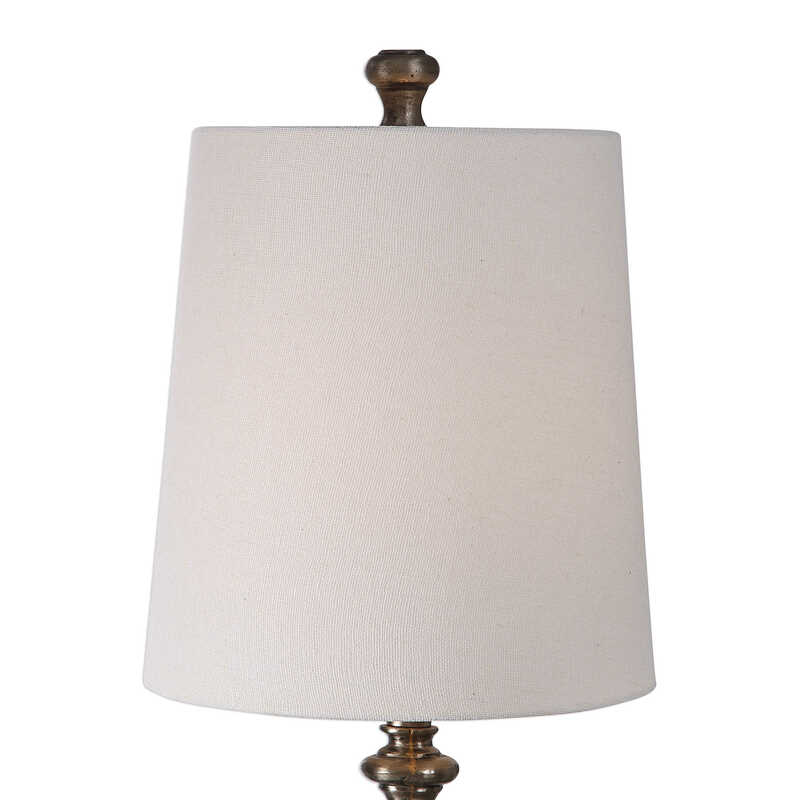 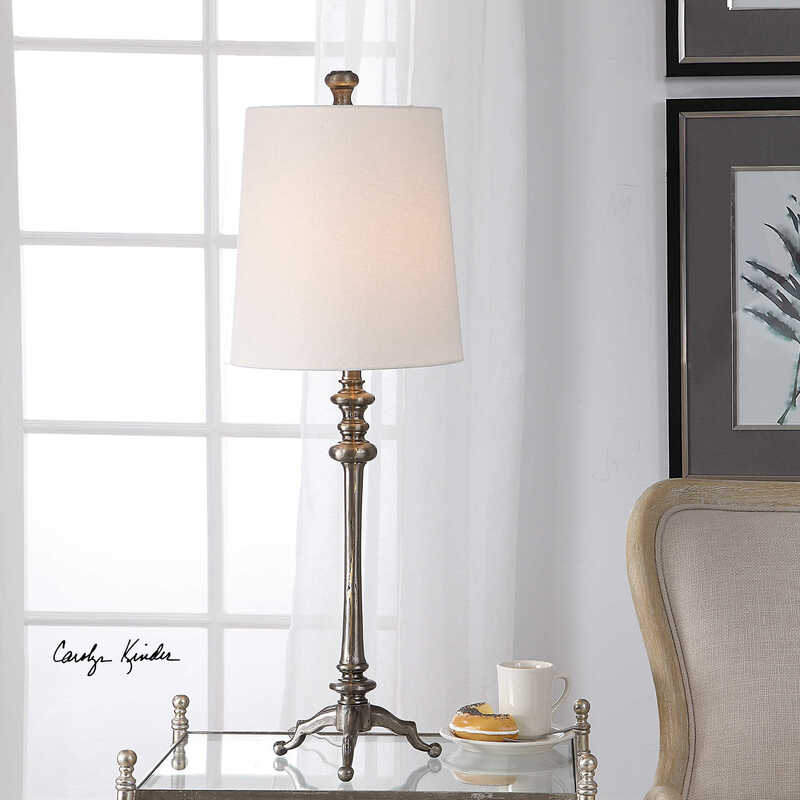 Classic, traditional style merges with industrial flair in this versatile lamp design. 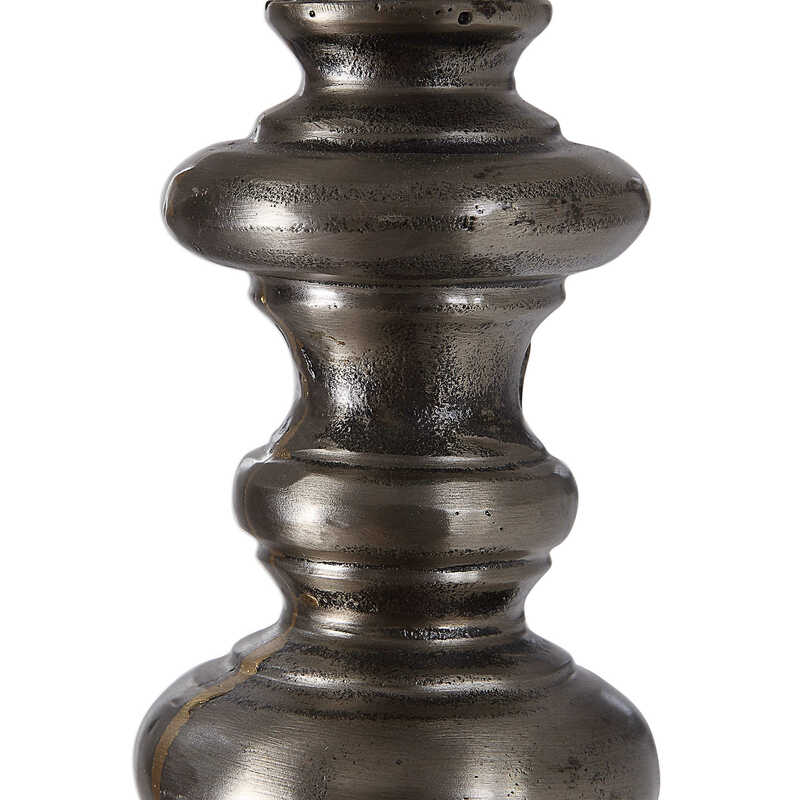 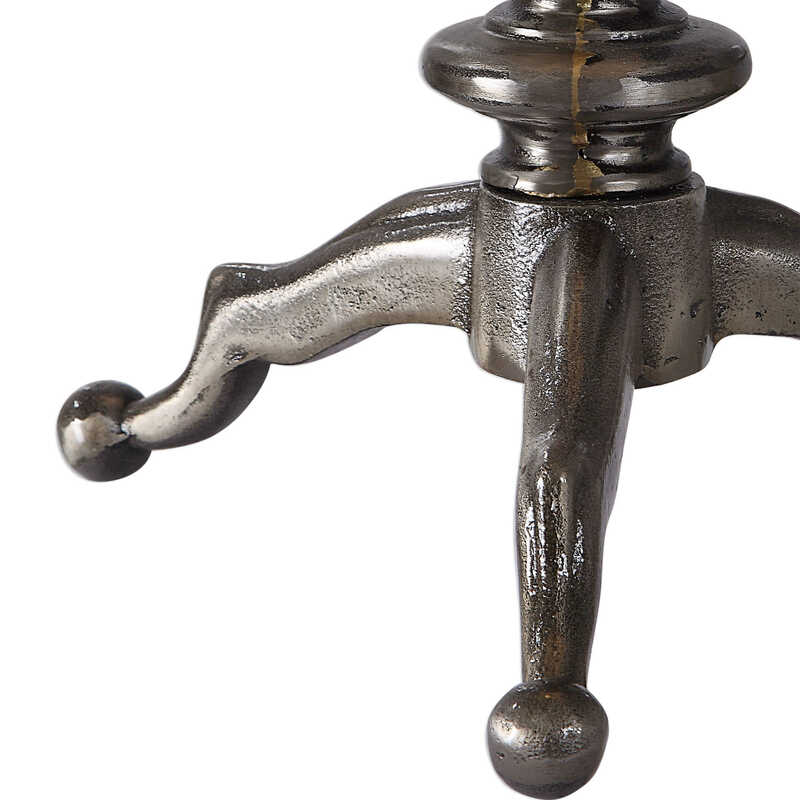 The cast iron base showcases shapely details and a raw steel finish with light burnished distressing. A slightly tapered, white linen drum shade completes this piece.